Donald Nongola Nongola is a Senior Curriculum Specialist in the department of Special Education, of the Zambian Ministry of Education. Mr Nongola has enrolled in the Doctorate of Philosophy in Education programme with Unicaf University. 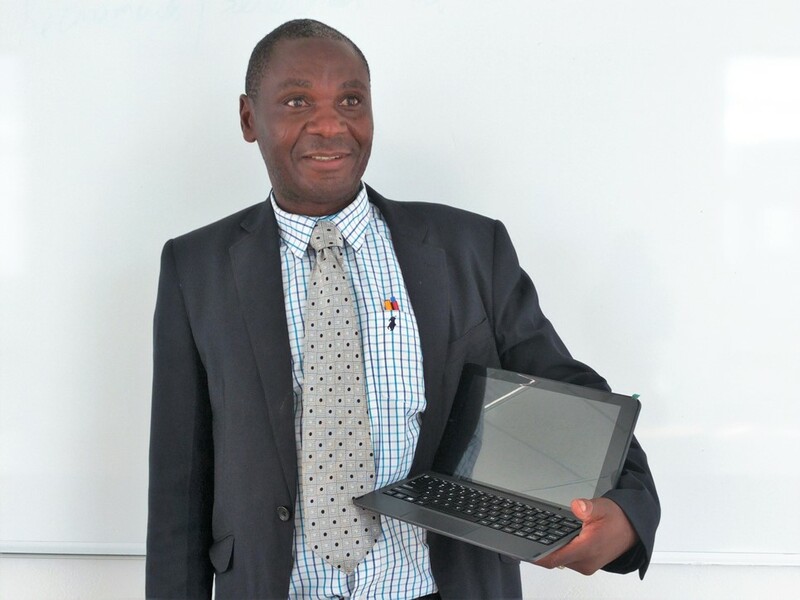 He recently visited the University’s campus in Lusaka to receive this very useful bonus gift, which will enable him to study anytime and in any place it is convenient for him. At home in the evenings, in a park or a café at week-ends, or even on the go. All UNICAF students are entitled to a free Windows 10 tablet upon payment of the deposit required for their programme of study. 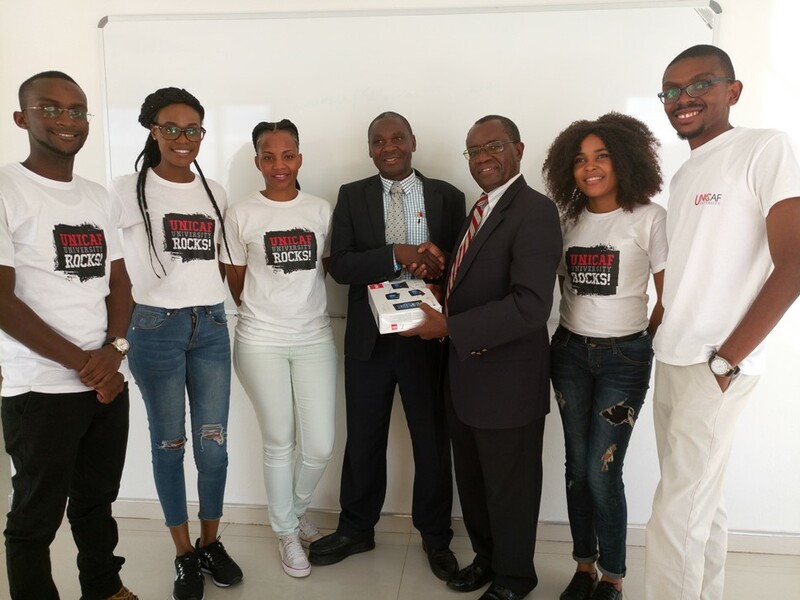 Unicaf University in Zambia Vice Chancellor Professor Sinjela handing over the tablet to Donald Nongola Nongola.